Use the National Moticam X3 Wireless 4MP WiFi Microscope Camera to view your microscope specimens on a computer or tablet, or attach the included focusable lens and tube and convert it to a macro camera. 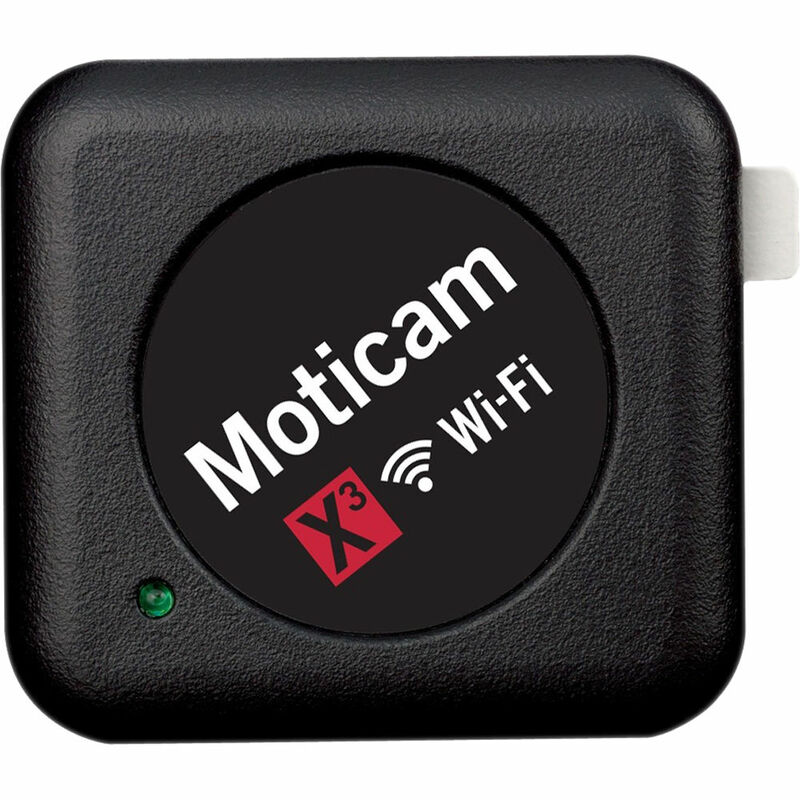 The Moticam X3 generates its own WiFi signal to connect to your devices so you can live-stream and capture images using the iOS or Android app for tablets, computers running the included Motic Images Plus software, or any other device using a web browser (but with limited functionality). Whether you're a teacher who wants to display their microscopy to a class, a jeweler who needs to show a client a gemstone, or an enthusiast who is interested in posting and sharing on social media, the Moticam X3 is the ideal tool for the job.